Plastic is versatile, lightweight, cheap — and seemingly everywhere. It’s also a scourge on the environment. While plastics have important uses, the bulk of plastic waste — much of which ends up clogging landfills and polluting oceans — comes as things designed to be used exactly once, and often for only a few minutes. “It can seem intimidating, but more and more people are showing that it can be done. You see it everywhere now. Kids bringing metal lunch containers to school, people and businesses saying no to plastic straws and shopping bags,” says Elizabeth Graves, editor in chief of Martha Stewart Living magazine. 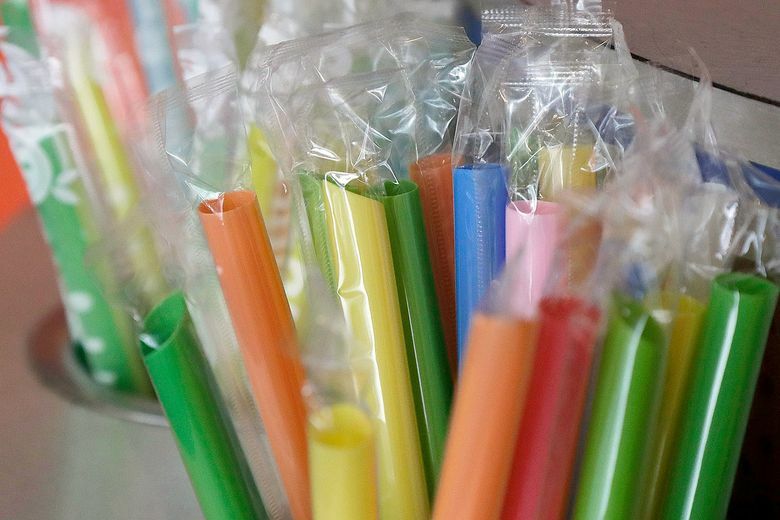 She recommends that customers in stores and restaurants refuse single-use plastics like cups, straws, utensils and bags, and explain why to the managers. On a household level, plan ahead so that you bring from home any items you might need later in the day, like a shopping bag or utensils — just as you’d grab an umbrella before heading out on a rainy day, Panni says. Switching to reusable glass or metal containers, metal utensils, compostable produce bags, and compostable or washable straws are all relatively easy ways to opt out of single-use plastics. On the community level, environmentalists recommend reaching out to local leaders, restaurants and businesses. Korst suggests keeping a stash of reusable containers in your car. She says there’s an art to approaching store managers to request an alternative to single-use plastic containers. “Use a friendly approach when you ask a cashier to accommodate your request. Measuring the weight of a container does take a little time, so be sure to explain why you’re bringing your containers to the store, and say thank you to a helpful cashier,” she writes in her book.